Dante Gabriel Rossetti sadly passed away 9 April 1882. Born 12 May 1828 he was an English poet, illustrator, painter and translatorThe young Rossetti is described as “self-possessed, articulate, passionate and charismatic” but also “ardent, poetic and feckless”.Like all his siblings, he aspired to be a poet and attended King’s College School, in its original location near the Strand. He also wished to be a painter, having shown a great interest in Medieval Italian art. He studied at Henry Sass’s Drawing Academy from 1841 to 1845 when he enrolled at the Antique School of the Royal Academy, leaving in 1848. After leaving the Royal Academy, Rossetti studied under Ford Madox Brown, with whom he retained a close relationship throughout his life. 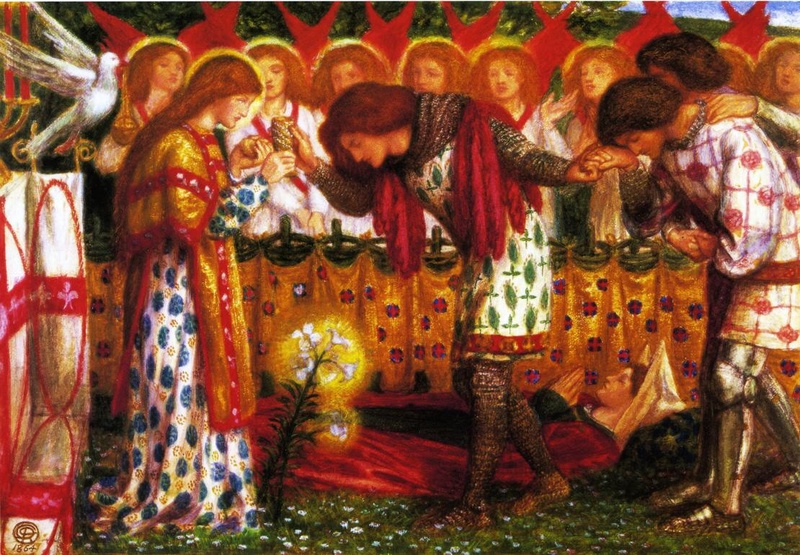 Following the exhibition of William Holman Hunt’s painting The Eve of St. Agnes, Rossetti sought out Hunt’s friendship. The painting illustrated a poem by the little-known John Keats. Rossetti’s own poem, “The Blessed Damozel”, was an imitation of Keats, and he believed Hunt might share his artistic and literary ideals. Together they developed the philosophy of the Pre-Raphaelite Brotherhood which they founded along with John Everett Millais. The group’s intention was to reform English art by rejecting what they considered to be the mechanistic approach first adopted by the Mannerist artists who succeeded Raphael and Michelangelo and the formal training regime introduced by Sir Joshua Reynolds. Their approach was to return to the abundant detail, intense colours, and complex compositions of Quattrocento Italian and Flemish art. For the first issue of the brotherhood’s magazine, The Germ, published early in 1850, Rossetti contributed a poem, “The Blessed Damozel”, and a story about a fictional early Italian artist inspired by a vision of a woman who bids him combine the human and the divine in his art.Rossetti was always more interested in the medieval than in the modern side of the movement, working on translations of Dante and other medieval Italian poets, and adopting the stylistic characteristics of the early Italians. The novel The Great Gatsby by F.Scott Fitzgerald was published April 10 1925. Great Gatsby follows a cast of characters living in the fictional town of West Egg on prosperous Long Island in the summer of 1922. The story primarily concerns the young and mysterious millionaire Jay Gatsby and his quixotic passion for the beautiful Daisy Buchanan. Considered to be Fitzgerald’s magnum opus, The Great Gatsby explores themes of decadence, idealism, resistance to change, social upheaval, and excess, creating a portrait of the Jazz Age or the Roaring Twenties that has been described as a cautionary tale regarding the American DReam which was inspired some of the parties Fitzgerald, had attended while visiting Long Island’s north shore. He began planning the novel in 1923 desiring to produce, in his words, “something new—something extraordinary and beautiful and simple and intricately patterned.”Progress was slow with Fitzgerald completing his first draft following a move to the French Riviera in 1924. His editor, Maxwell Perkins, felt the book was too vague and convinced the author to revise over the next winter. Fitzgerald was ambivalent about the book’s title, at various times wishing to re-title the novel Trimalchio in West Egg.ream. The main events of the novel take place in the summer of 1922. Nick Carraway, a Yale graduate and World War I veteran from the Midwest – who serves as the novel’s narrator – takes a job in New York as a bond salesman. He rents a small house on Long Island, in the (fictional) village of West Egg, next door to the lavish mansion of Jay Gatsby, a mysterious millionaire who holds extravagant parties but does not participate in them. Nick drives around the bay to East Egg for dinner at the home of his cousin, Daisy Fay Buchanan, and her husband, Tom, a college acquaintance of Nick’s. They introduce Nick to Jordan Baker, an attractive, cynical young golfer with whom Nick begins a romantic relationship. She reveals to Nick that Tom has a mistress, Myrtle Wilson, who lives in the “valley of ashes”: an industrial dumping ground between West Egg and New York City. Not long after this revelation, Nick travels to New York City with Tom and Myrtle to an apartment they keep for their affair. At the apartment, a vulgar and bizarre party takes place. It ends with Tom breaking Myrtle’s nose after she annoys him by saying Daisy’s name several times. As the summer progresses, Nick eventually receives an invitation to one of Gatsby’s parties. Nick encounters Jordan Baker at the party, and they meet Gatsby himself, an aloof and surprisingly young man who recognizes Nick from their same division in the war. Through Jordan, Nick later learns that Gatsby knew Daisy from a romantic encounter in 1917 and is deeply in love with her. He spends many nights staring at the green light at the end of her dock, across the bay from his mansion, hoping to one day rekindle their lost romance. Gatsby’s extravagant lifestyle and wild parties are an attempt to impress Daisy in the hopes that she will one day appear again at Gatsby’s doorstep. Gatsby now wants Nick to arrange a reunion between himself and Daisy. Nick invites Daisy to have tea at his house, without telling her that Gatsby will also be there. After an initially awkward reunion, Gatsby and Daisy reestablish their connection. They begin an affair and, after a short time, Tom grows increasingly suspicious of his wife’s relationship with Gatsby. At a luncheon at the Buchanans’ house, Daisy speaks to Gatsby with such undisguised intimacy that Tom realizes she is in love with Gatsby. Though Tom is himself involved in an extramarital affair, he is outraged by his wife’s infidelity. He forces the group to drive into New York City and confronts Gatsby in a suite at the Plaza Hotel, asserting that he and Daisy have a history that Gatsby could never understand. In addition to that, he announces to his wife that Gatsby is a criminal whose fortune comes from bootlegging alcohol and other illegal activities. Daisy realizes that her allegiance is to Tom, and Tom contemptuously sends her back to East Egg with Gatsby, attempting to prove that Gatsby cannot hurt him. When Nick, Jordan, and Tom drive through the valley of ashes on their way home, they discover that Gatsby’s car has struck and killed Tom’s mistress, Myrtle. Nick later learns from Gatsby that Daisy, not Gatsby himself, was driving the car at the time of the accident but Gatsby intends to take the blame anyway. Myrtle’s husband, George, falsely concludes that the driver of the yellow car is the secret lover he recently began suspecting she has, and sets out on foot to locate its owner. After finding out the yellow car is Gatsby’s, he arrives at Gatsby’s mansion to confront him, which ends in tragedy…. Amazingly The Great Gatsby received mixed reviews and sold poorly; in its first year, the book sold only 20,000 copies. Fitzgerald died in 1940, believing himself to be a failure and his work forgotten. However, the novel experienced a revival during World War II, and became a part of American high school curricula and numerous stage and film adaptations in the following decades. Today, The Great Gatsby is widely considered to be a literary classic and a contender for the title “Great American Novel”. 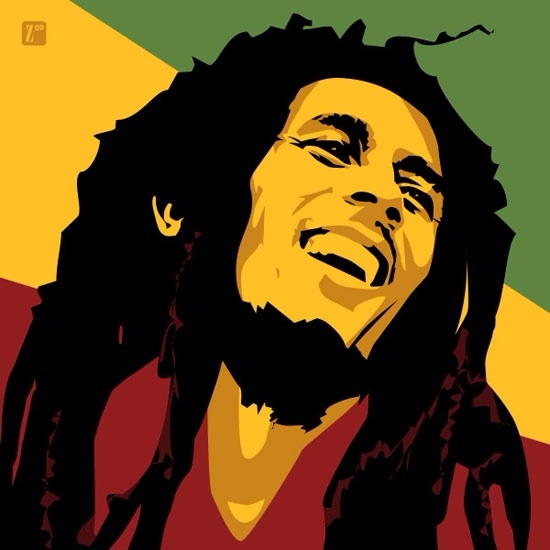 The book is consistently ranked among the greatest works of American literature. In 1998 the Modern Library editorial board voted it the best American novel. 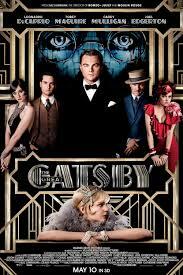 It has also been adapted for screen numerous times, most recently starring Leonardo diCaprio as Gatsby.